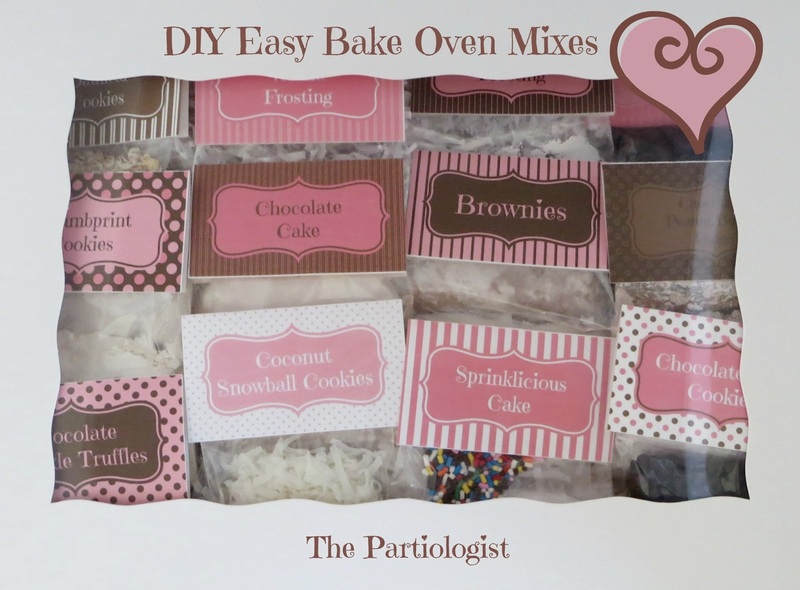 The Partiologist: DIY Easy Bake Oven Mixes! 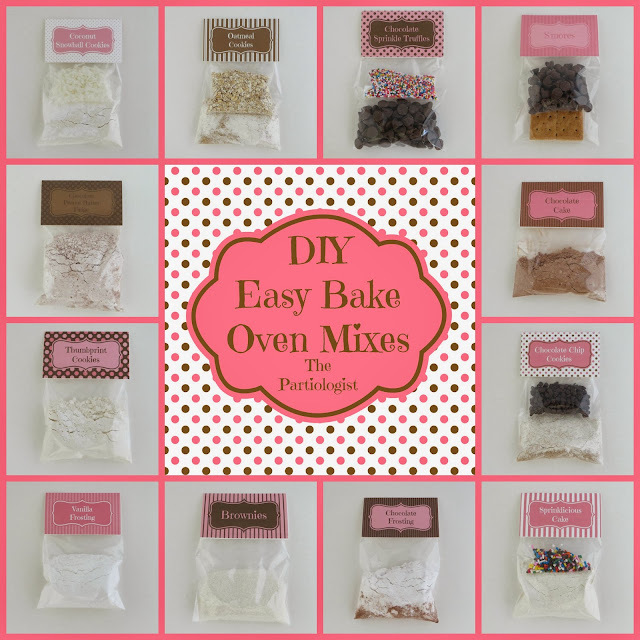 Now you can make your very own DIY Easy Bake Oven Mixes! 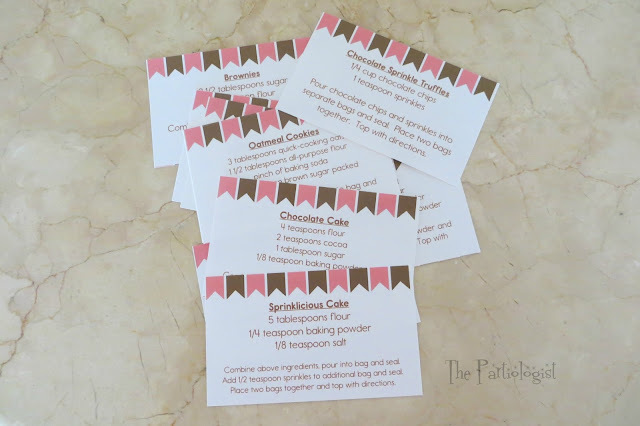 You'll find the free printable recipes and labels. How many of you bought an Easy Bake Oven as a Christmas gift? I think every year I try and find someone to give an Easy Bake Oven. I had one as a child, my girls had one and now I want everyone to have one. 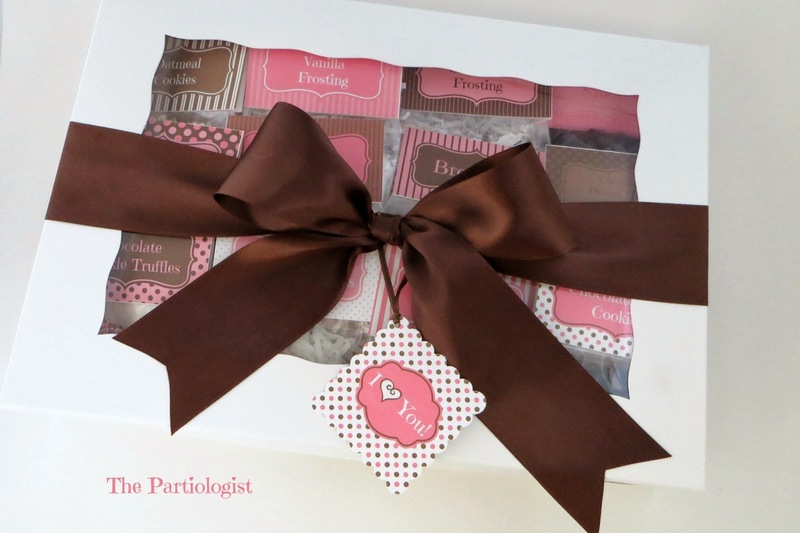 Having an Easy Bake Oven could possibly be how The Partiologist got her start and possibly her love for chocolate! After gasping at the price of the mixes, I bought them anyway, because they were cute. And because who wants an oven without anything to bake? Now that the newness has worn off, and the mixes are probably gone, the poor child will have to wait until their birthday to start baking again...Well, not if I can help it! 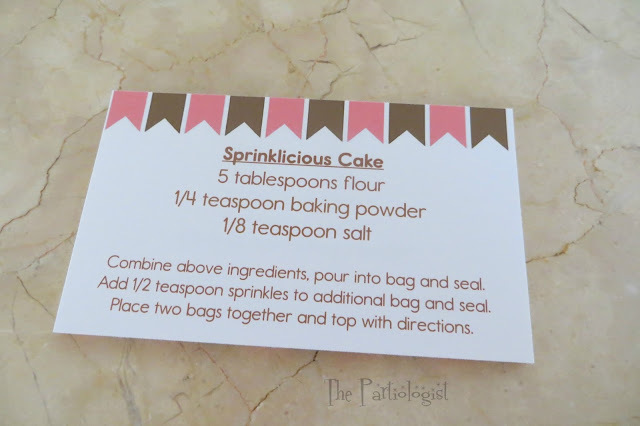 I created some DIY Easy Bake Oven Mixes with...CUTE PACKAGING! I made the cutest toppers complete with directions on back! Twelve different mixes, twelve different toppers complete with directions! After finding easy bake recipes online, I had to divide them to make one mix. My plan was to try them out in an actual Easy Bake Oven. By the time I finished making the labels, dividing the recipes, filling the bags, adding the toppers, etc...well, I was exhausted. So you're going to have to give it a try and accept my apologies if it doesn't go as planned. If all else fails, have them feed their creation to their Dad or any other unsuspecting family member. Just remember, I did my part...they are CUTE! If you have a mix or recipe you'd like to convert to an easy bake size, here's a handy chart I made just for that purpose! 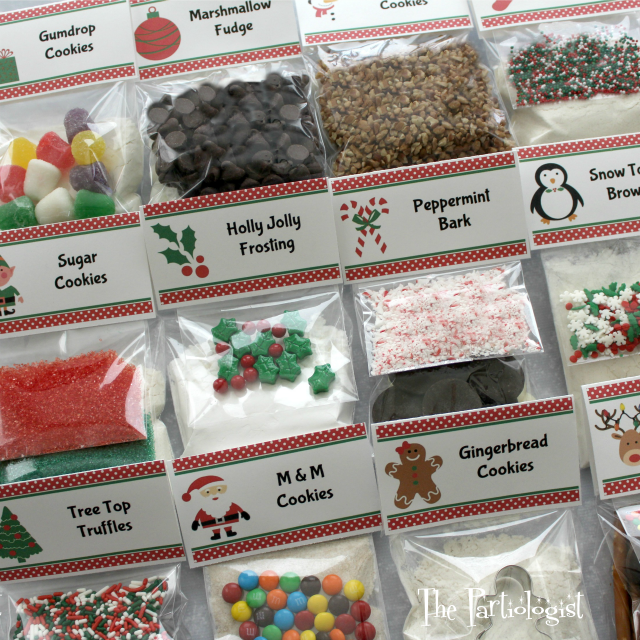 And printable labels so you can make cute mixes too! The name of the mix is printed on the bottom half of the card and the directions are printed on the top half. Just punch them out, fold and they're ready to go! Or print on cardstock, cut and fold. There are four mix labels on each printable. First you'll need to fill the bags with these coordinating recipes. Each recipe is for the dry ingredients to fill the bags. Here they are printed out on Avery Index Cards. Add them to your recipe box. 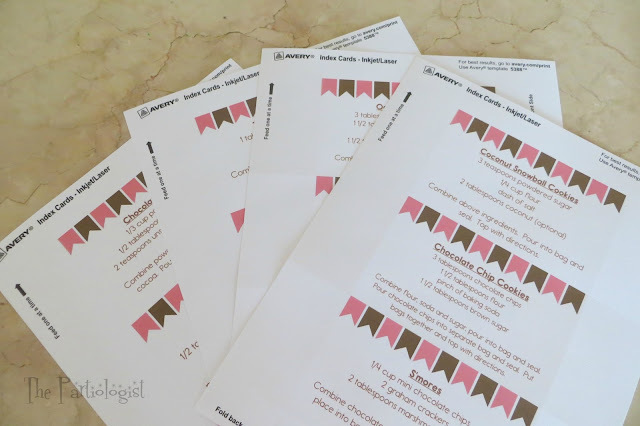 There are three recipes on each printable. 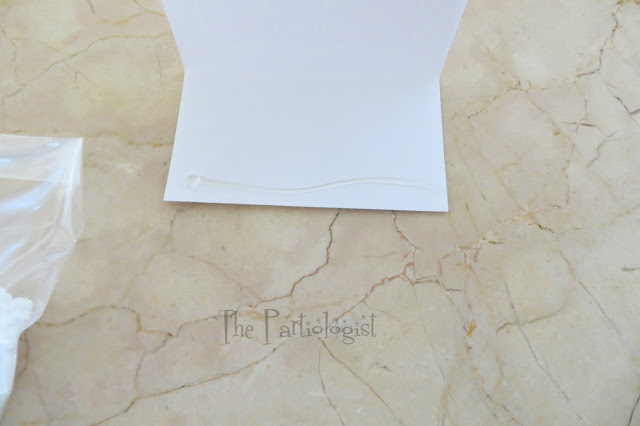 After filling the bags with the dry ingredients, fold over the top and staple. Hot glue the corners down to add the topper. Add a little hot glue across the bottom of the label. 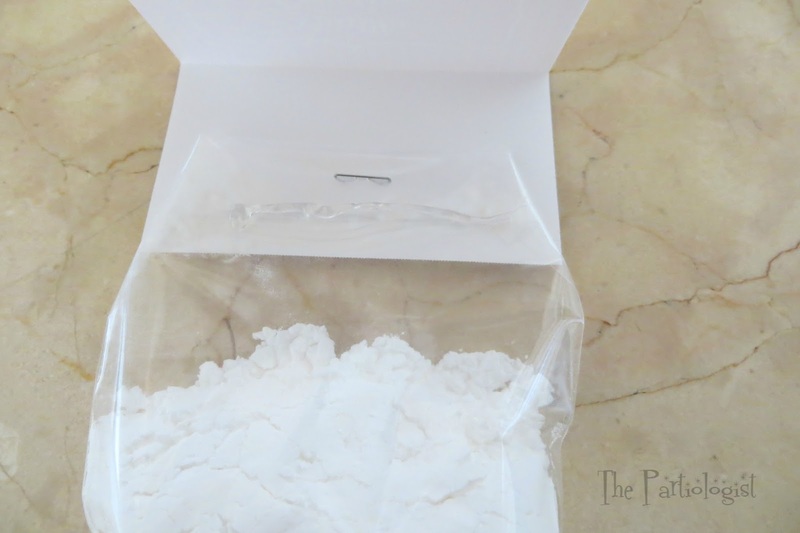 Attach the bag to the label and add more glue to the top of the bag and seal. And a couple little tags to show the Love. In two sizes, punch it out and tie it on with narrow ribbon. Soon we'll have little bakers baking all over the world! Lovin' for the Easy Bake Oven! I too had an Easy Bake Oven, but do remember not having much to bake in them. Even back in the day the mixes were expensive, so I'd get more as gifts. What you've created is wonderful and any Easy Bake Oven owner would love to have them. This is just fabulous! What a wonderful idea and a wonderful thing you have done for anyone who is the proud little owner of an Easy Bake Oven and loves using it. No more waiting for special occasions to restock their recipe pantry! Oh yes, they were such good memories, every little one should experience that! Thanks Pam! 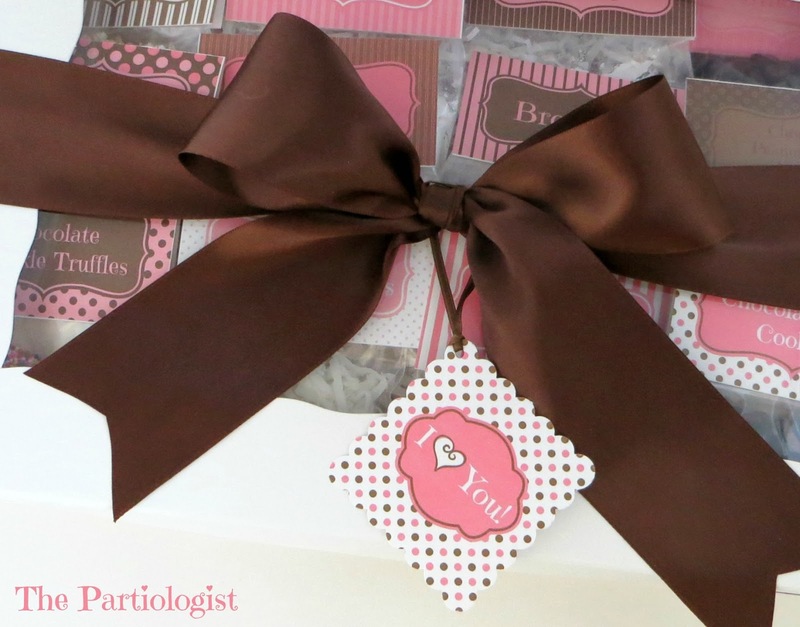 What an awesome gift, any young girl would be thrilled to receive it! 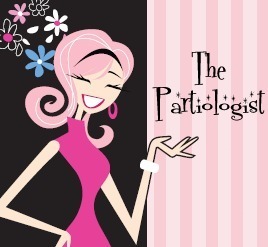 I used mine til it died and then I still have the pans decades later (well, at least one!). I love the designs you made, they turned out gorgeous!! Would you believe I still have pans from my girls oven packed away somewhere?? Any chance you could make some labels for little boys? My boys got an easy bake for Christmas as they love to bake like mommy, but they probably wouldn't like the girly colors and designs. If you could that would be awesome! 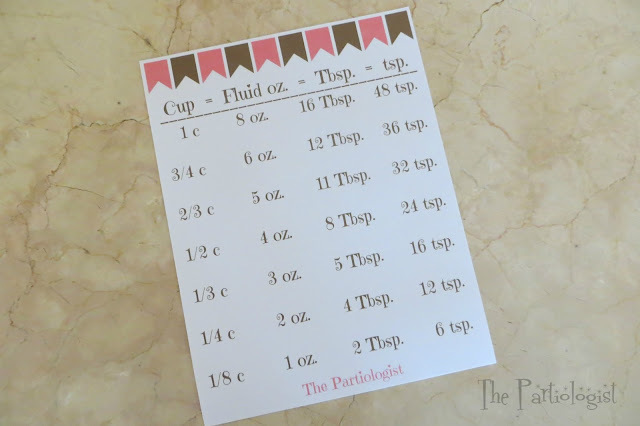 Thank you either way for the recipes and printables. They're just what we need! These are absolutely adorable! What a great idea. Thank you for sharing all your great ideas! This is amazing! I tried to email you but it rejected the email address. I just wanted to ask if you had a blank recipe card and bag topper so i could add a few recipes of my own to go with the recipe box i got to go with everything. I have made up all the sets to go with the oven i bought for my Granddaughters bday and I'm very excited to give it to her. 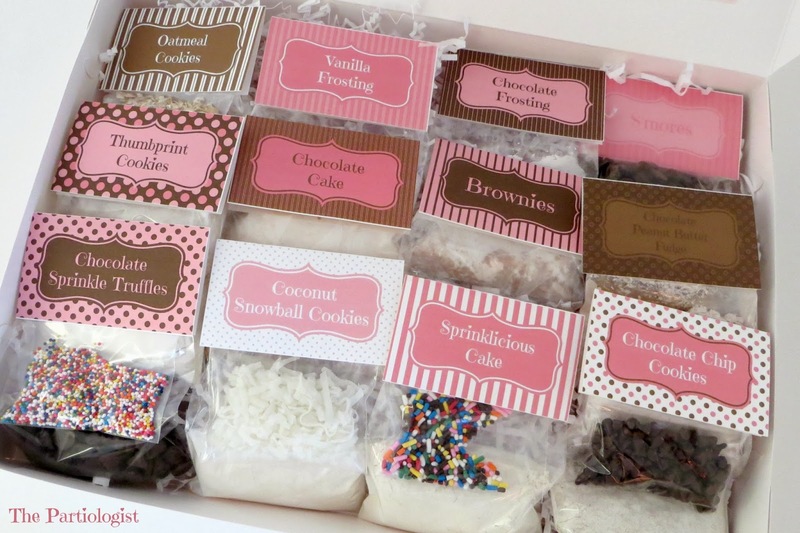 I never had an Easy Bake oven, nor did my daughters, but now I have three granddaughters (sisters) and you can bet I am going to get them one, with these added mixes! So fun and fabulous, Kim! THANKS! Oh you must get an easy bake oven for YOUR house and bake with your granddaughters! Thanks Sue! I thought, at first, that you were selling these little kits! I was so surprised when I realized that you were giving this Step Mom the instructions and downloadable ability so I can make it myself for my new 'daughter'! You are clever, generous, and a super nice person all the way around! I am so excited to have found this!! I am going to make a ton of them and package them up really pretty to give my daughter for Christmas this year. I can't believe the time you put into providing everything I need to make these look so professional and beautiful!! Thank you so much! What size/type of bags did you use? Aww, you are so very welcome, I am happy that you are going to make and give them to your daughter, she will love them as did my niece. The bags are 3" x 4" from Wilton, I also added a link above. I made 4 of each mix and boxed them nicely for Christmas. My daughter was so excited! It was her favorite gift....even over Santa's gifts!! She made the chocolate cake with the chocolate frosting 1st and I must say...it is the BEST EBO cake we have every tasted!! Thank you sooooo much for this wonderful gift you've given my daughter and I! I am thrilled that your daughter loved them, thank you for letting me know! Thank you, thank you!!! I just got an Easy Bake Oven for my granddaughter for Christmas and I can't wait to see her face when she unwraps it. She loves to cook and bake in the kitchen and she's been asking for an EBO since she was two years old. Bless you for putting this all together!!!!! I am so excited for your granddaughter to unwrap her EBO, she will LOVE it and I'm so happy you like my DIY cookie mixes! I bought all the digital clipart backgrounds and frames on Etsy and then made the DIY Mix Printable in Avery. You are amazing!!! These are so adorable! Thank you so much for this! I got my twin girls each and EBO for Christmas because they love to bake and decorate cupcakes and cakes. I was hoping to add some homemade recipe ideas just because I was worried about what might be in the actual EBO mixes....and the outrageous cost too. Thanks so much for your time and creativity. You're a gem! You are so dang cute!! Thank you! Oh my goodness! This was exactly what I was looking for and it is perfect! My son wants an easy bake oven but his allergies actually prevent him from enjoying *any* of the mixes so all of these fun recipes with cute labels will be even more perfect than the actual mixes and I don't have to worry over trying to make recipes myself (they would be a guaranteed disaster)! I couldn't thank you enough! I am thrilled to know that I've helped you with your mixes and your son will be able to enjoy his Easy Bake Oven! hi! I'm so excited to try this! My niece is getting a easy bake for Christmas! I'd like to make these up to give to her with it. I couldn't get the recipes to download for 3 and 4. Is it just me? everything else came up great. I'm so happy you like these! I just tried to download 3 & 4 and they both worked for me, maybe try again, good luck! It worked!! Thank you so much for all of this!!! Should the brownie recipe have cocoa powder in it? Thank you! Going to make these this weekend for my niece! Happy you're going to make these! The brownie recipe call for 1 tsp. chocolate syrup, however, I'm sure you could substitute cocoa powder. I Was thinking about making your recipes in "bulk" so my niece could make each one more than once. Any suggestion on what amount they could take out of the container? I'm planning on just multiplying your recipe by 5 or so. This is perfect. Thank you for sharing. Does this work with the new EBO? I really don't know, but I'm sure they would! Thank you for the comment! yes, it would work, but I believe that the baking time would be a little different. I cannot thank you enough for these!! I have 3 little girls who all want an easy bake oven for Christmas, but there is no way I can afford the mixes. Thanks to you they will be cooking all Christmas day. Thank you so much for sharing!!! I can't seem to get these to print. When I click on the links, the documents just come up blank. Any suggestions? Whitney, I'm so sorry you're having trouble printing. I just clicked again and check and I am able to open the labels. Maybe try a different browser, although I'm not sure why this is happening to you. The directions on how to make the desserts are on the back of the bag topper. The front shows what it is and the back tells how to make it. So happy you found these! Thank you Thank you Thank you!!! It was an oversight on my part. With your directions and taking time to read the instructions, I now have it all printed off for my sweet grandbaby!! Thank you for solving our last minute problem this year! Have a Merry Christmas! These really are great! Thank you for sharing all your hard work. My daughter just got an EBO for.christmas and I was olanning on giving her this set of mixes for her birthday in a few weeks. Has anyone tried the recipes though??? I gave all these mixes to my niece, sounds like she had a blast with them. I'll have to ask how everything turned out. Thank you for your wonderful recipes, they are a lifesaver. We actually got my daughter the Lalaloopsy oven for christmas and were not able to find mixes in the stores. When we looked online they were expensive. I found your post and we tried the chocolate cake and frosting recipe. They came out so well. My daughter used her two older brothers as her taste testers, they gave her a thumbs up and wanted her to make another cake. Lol! Thanks again for your wonderful recipes! We were about to mix the Sprinklicious Cake together, I noticed that it did not call for any sugar. I just wanted to double check to be sure I was reading it right. Ingredients list flour, baking powder, salt, and sprinkles. Directions list vanilla, veg. oil, and milk. Is sugar not needed for the recipe? I'm not sure why I didn't list the sugar, any cake would need sugar, right? I will edit this to add 2 1/2 tbsp. sugar to the recipe, thank you so much for letting me know. What program did you use to design you labels? I love them and would love to design some to go along with some single serve hot cocoa mixes. Thank you! The recipes are all listed above, highlighted in pink. Click on the link and a printable recipe is available. Ok I think im confused. Where are the what wet ingredients do we add to each and how much? I've read everything more than once and cant find it. 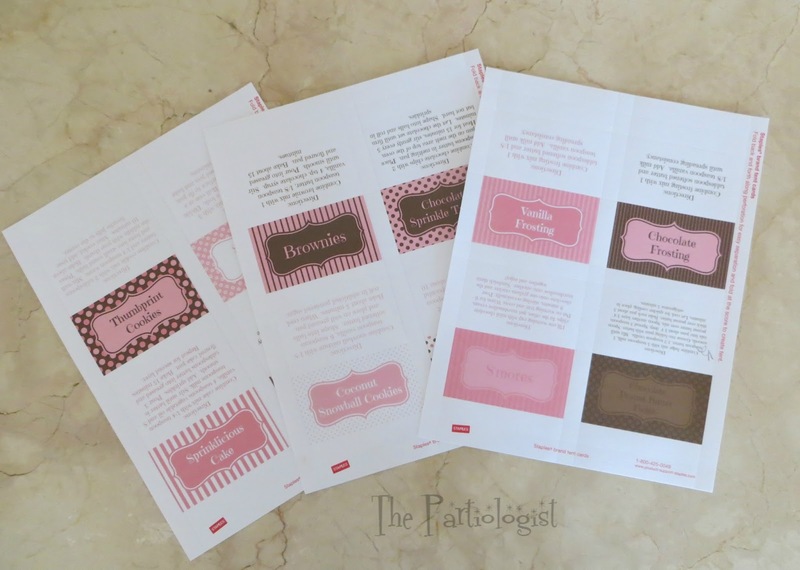 They are highlighted in pink and if you click on the link, it will take you to the printable. There you will find the additional ingredients and instructions. Hope this helps. I also just went and enlarged the highlighted links for the printable. Because of your wonderful post, I have decided to get each of my twin granddaughters an Easy Bake Oven for this Christmas. (yes, I do research and buy early). But one question I have in researching these 'new' ovens are that they are the 'Ultimate' ovens. Do these recipes work for the new ones that are out on the market or are these for the older EBO that cooked with a light bulb? thank you for a wonderful blog, I so enjoy your wonderful creativity!!!! After doing a little research, I found the new Ultimate oven has a higher baking temperature. I would think these mixes would work just the same, maybe just a little less time baking. I love that you're planning early and getting your shopping done! Thanks so much! The is going to go perfect with our easy bake oven! Hi Kim...I was browsing on the internet looking for ideas for packaging brownies for a fundraiser and came across you. Your talent and creativity is truly a gift. I love the font on the labels with the heart over the i. Do you mind sharing with me where I can buy the font? Kim...thank you for sharing the font with me. Now, I just have to get my son to download it for me. I definitely will be following your blog. 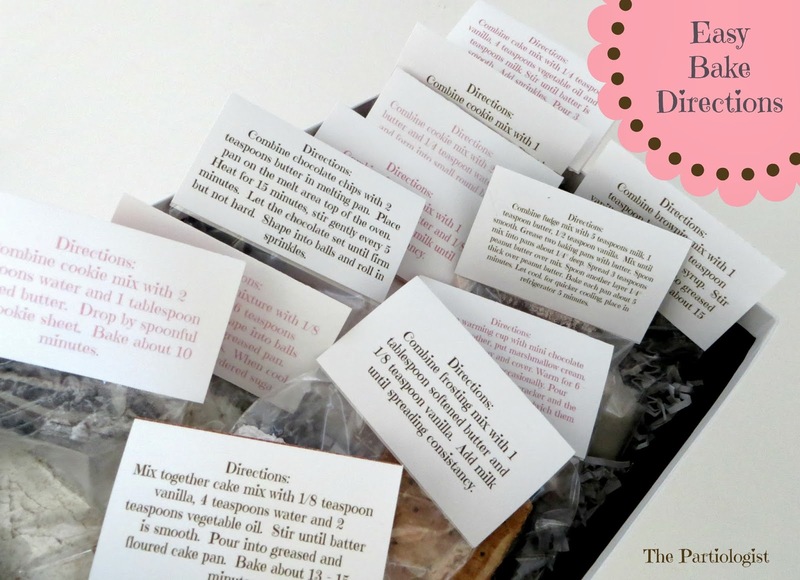 I just found your EBO recipes and am so excited to give this recipe mix package to a wonderful little gal this Christmas, along with an apron made with love. I recognize that you went to great effort to create this, so before I take all the credit when I give the gift, I want to extend the credit to YOU! for all the hard work, and then for your graciousness in sharing it with us. Hi, I just wanted to thank you so much for all the work you put into these recipes. I had an EBO as a child and I absolutely loved it. As luck would have it, I ended up with 2 boys and no girls. I have a girlfriend who has a little girl and I love spoiling her. I can't wait to make these up and give it to her with her new EBO for Christmas along with a darling little apron another friend of mine made for her. Hope you have a wonderful holiday season. I'm so happy I can help with the gift for your friend's little girl, Merry Christmas! Thank-you SO MUCH for doing all this work and posting these fabulous printables to share!! We already bought her the oven for Christmas, and now cannot find mixes ANYWHERE here in Canada without paying far, far too much, so I was thrilled to find DIY solutions online. I'm a graphic designer so I would have spent so much time making them pretty - you have no idea how great it is to simply be able to download these, print and go! A million thanks! Thank you so much for letting me know how I was able to help you out! I'm thrilled so many have enjoyed the recipes and printables! the s'mores recipe do you mix the marshmallow fluff into the gram crackers and chocolate chips? then put it in the bag? Thus is awesome. I just made this for my granddaughter. However, I have a question about the cake recipe: the chocolate one has 4 teaspoons of flour while the sprinklicious cake recipe has 5 TABLESPOONS. Can that be right? It doesn't sound right, I did some checking and would only put in 2 1/2 tablespoons flour. I will make a note above as I can't edit the recipe. We made this mix as well. 5 Tablespoons is correct - the 8 tsp milk and 4 tsp of oil make it way too runny with only 2.5 T. We added back the additional 2.5 T and it was perfect! Is it unsweetened cocoa powder or hot chocolate powder in the chocolate cake recipe. When you look at the frosting it refers to unsweetened cocoa powder. Just wanted to double check. Yes, it is unsweetened cocoa powder. Thank you! My daughter got a Girl Scout Cookie oven for Christmas and I'm hoping the EBO mixes (and DIYs) will work for that too. I put together some of your mixes tonight and we made the Chocolate Chip cookie one. I think 1 Tablespoon of butter may not be right. It merged into a big thin cookie and took 15 minutes to firm up. The batter was sure tasty, though! LOVE this! Made all 12 recipes and just baked the snowball cookies. 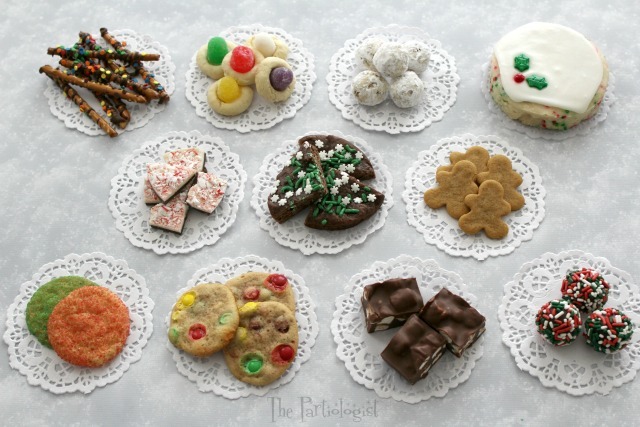 Question, how many cookies do the cookie recipes make? We rolled 12 balls and had to flatten them a bit to fit in the easy bake oven "chute" and it took them approx. 15 minutes to cook. Tried all of the recipes, Perfect! and am ready to make a few more batches to give. The only problem my kids ran in to... the frosting mix, can you add to the recipe card to add 1/2 teaspoon at a time of milk? The made both batches too runny and I think it would be helpful on the directions. 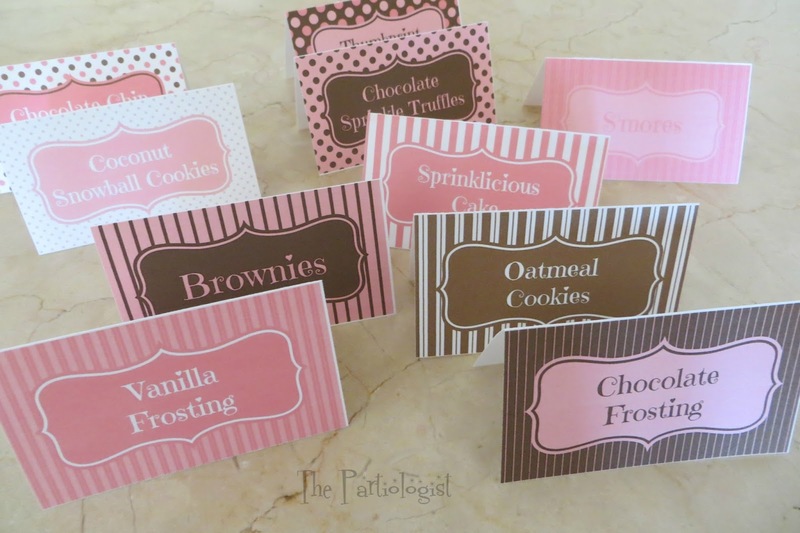 Unfortunately, when I made the cards I didn't make them editable!! 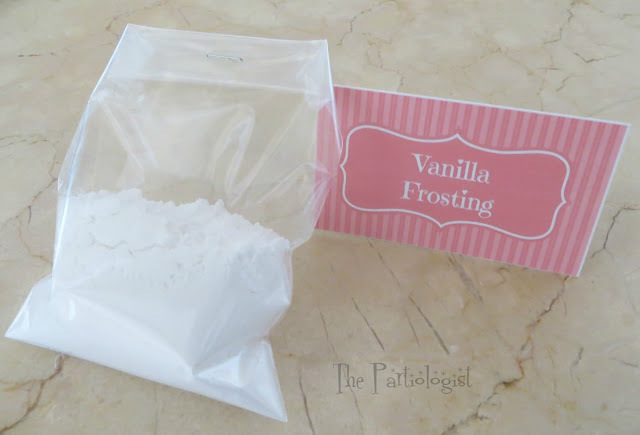 I will add a note in the blog post that might help others when making the frosting. Hello! I am obsessed with your blog!!! It's fabulous! I am excited about making this for my daughter this year for Christmas! Quick question...what time of flour did you use? All Purpose? Do you know of anyone that has tried this with gluten free flour? Hi Holly!! Thank you so much for the sweet comment about my blog! At this time, I don't know of anyone who used gluten free flour, but I think it would work, maybe with the cup for cup kind. Hope this helps and happy baking! These are so cute! I am giving my granddaughter an EBO for her birthday, and want to send her some fun mixes. I feel silly, though, as I am not seeing the liquid ingredients on here? Am I missing something? Does it show somewhere all the ingredients and how to mix them up and bake them? Mine is the regular EBO, not the ultimate? Thank you again, she will love them! Thank you so much! All of the wet ingredients are listed on the back of the bag toppers in the directions. I found you on Pinterest last night and printed these out this morning. They are absolutely beautiful! I can't thank you enough for doing all this work and then posting your beautiful creations for the rest of us to use for free. I can't wait to give them to my daughter for Christmas. Thank you so much for sharing these with us. My niece is going to love them. Thank you so much for sharing these. My niece is going to love them. What size box did you use for the mixes? I can't wait to assemble these for my granddaughters! They are so darn cute! I love all of your stuff. I am so glad I found you! Thank you so much, I'm glad you found me too! The box was 12 x 17 white window top box. Hi, I log on too your blog daily. Your story-telling style iis witty, keep it up! I am so excited about these mixes. I am making these for a friend's granddaughter for Christmas. QUESTION: The chocolate chip cookie recipe seems off. It says 3 Tbsp chocolate chips and only 1 1/2 Tbsp flour. That is correct, but if you would like to add less chocolate chips, that would work too. Great gift for your friend's granddaughter! I want so much to get an EBO for my granddaughters but was worried about keeping mixes supplied. You are so generous to share your recipes! These are the cutest idea EVER!! Can't wait to get started and have fun! !Thank you!! Aww, thank you so much! Have fun baking with your granddaughters!